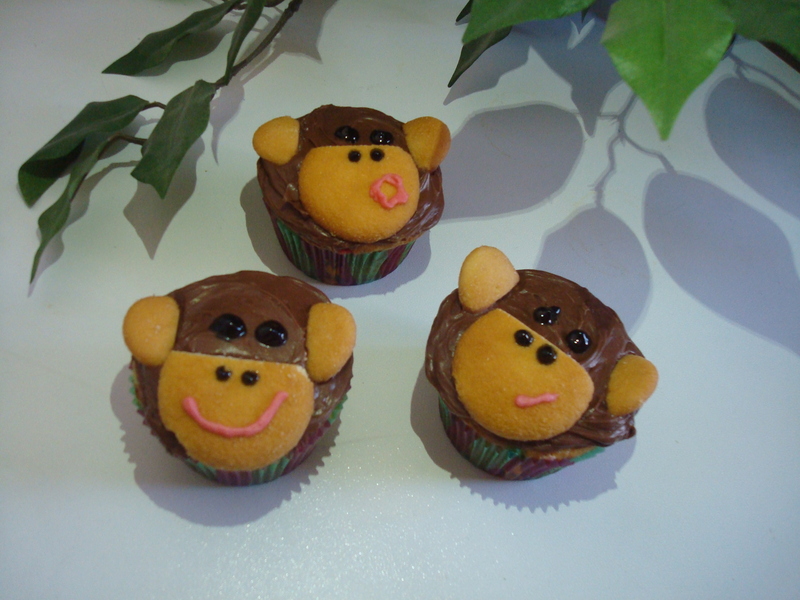 If you know someone who loves monkeys, these cupcakes would be PERFECT for them! Bonus: They are SO easy! 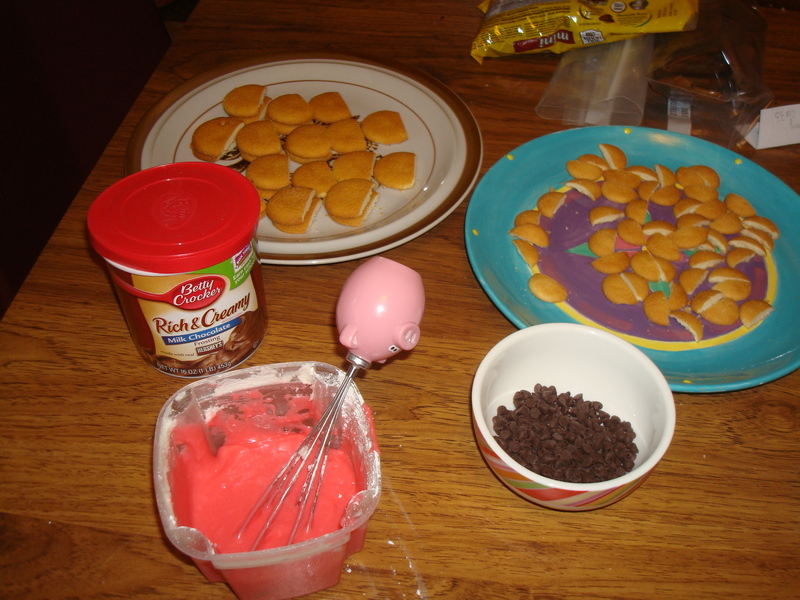 Put some red food coloring into the white icing, This will be used to create the mouth later on. Cut the tip 1/4 off of the Nilla Wafers. If you look at my picture, I didn’t cut them in half. Just cut off about 1/4. This will be the mouth area. 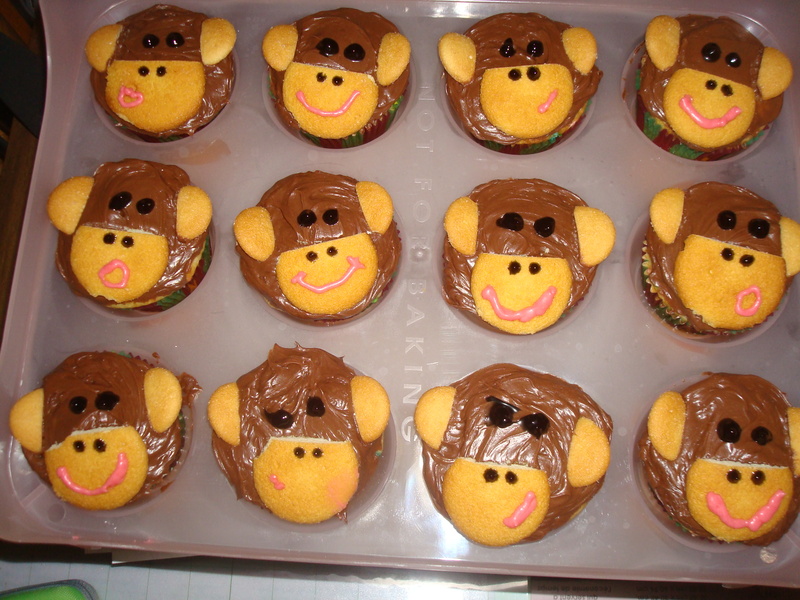 You will need 24 total (1 for each monkey cupcake). Cut 1/3 off of the Mini Nilla Wafers. Again, look at my picture, you don’t want them in half exactly. These will be the ears. 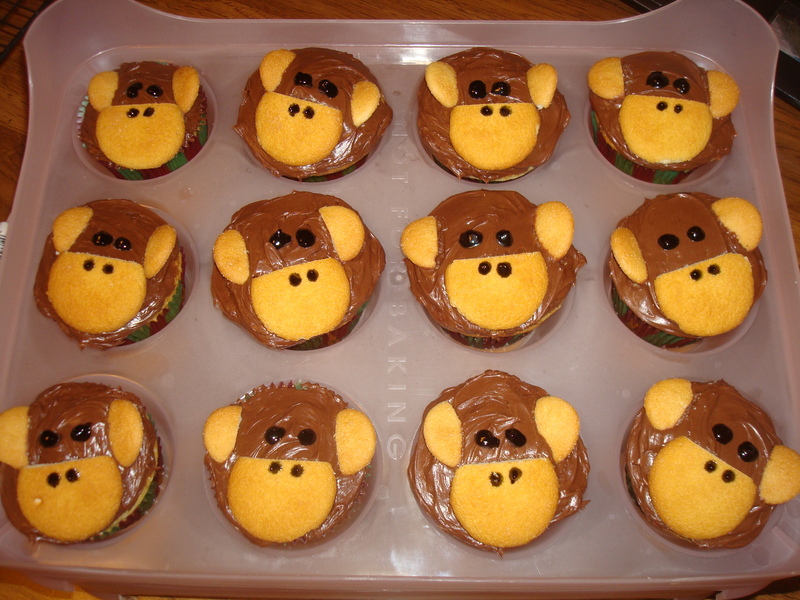 You will need 48 total (2 for each monkey cupcake). 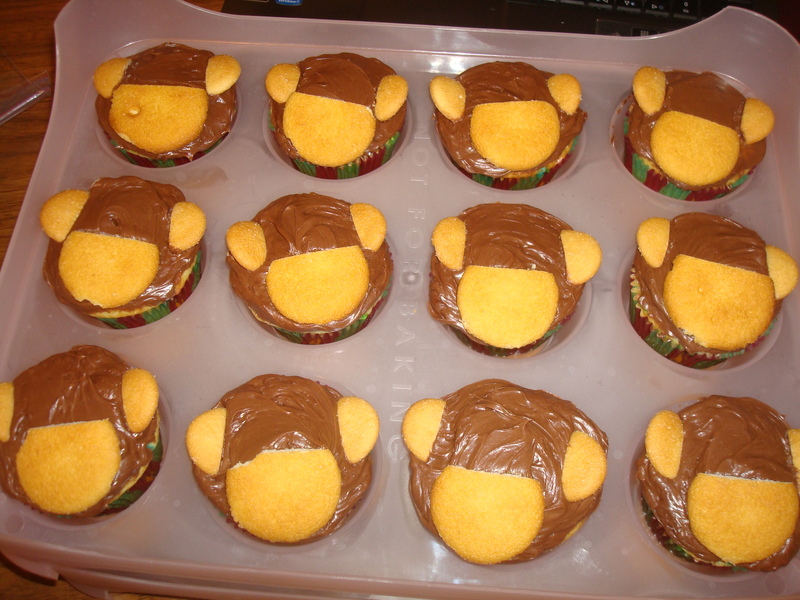 Frost the cupcakes with the chocolate icing. Put a Nilla Wafer on the bottom for the mouth area. Put 2 Mini Nilla Wafers on for the ears. I don’t lay them flat on, I put the cut side in at an angle so they stick up a little bit. Use mini chocolate chips or black gel icing to make eyes on the chocolate icing. Put the red icing into the Ziplock bag and cut a little bit off of the corner. Not too big!!! Or, alternatively, use a piping set. 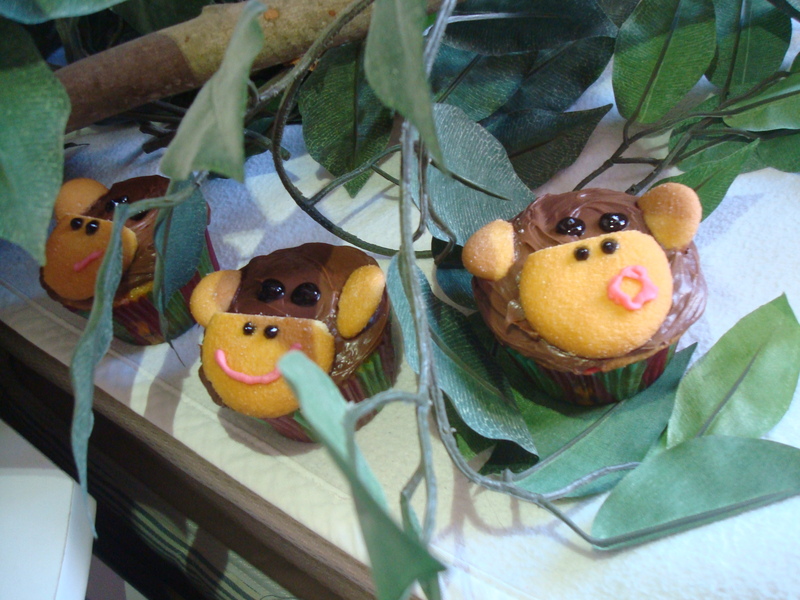 Put various mouth designs on the monkeys! Have fun! 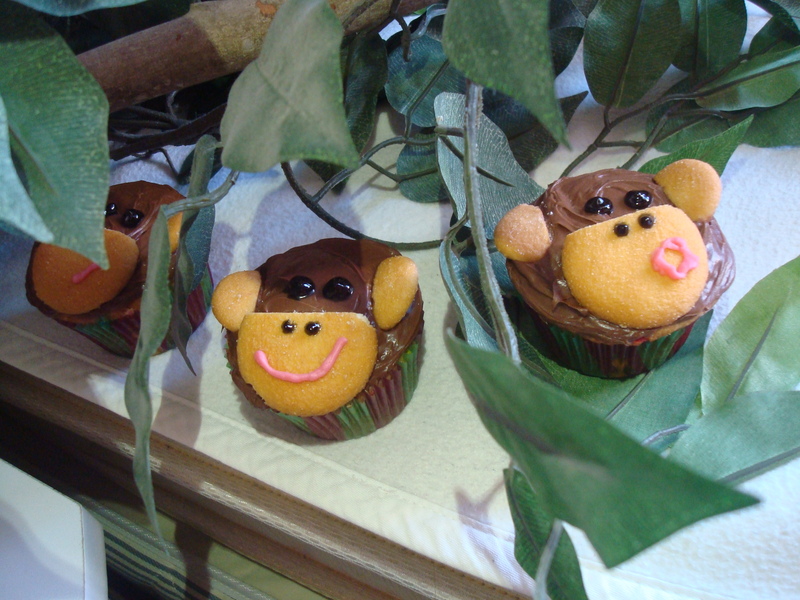 Go forth and share the monkey goodness! !